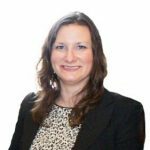 North Area Neighborhood Development Council | About Us | Board Members and Officers | Amy Marczewski Carnes, Ph.D.
Amy Marczewski Carnes, Ph.D. has been a West Adams resident since 2015. She is an active member of the West Adams Neighborhood Association (WANA) and the West Adams Moms Club. She has worked at USC for the past nine years. Amy currently works at USC Shoah Foundation as Associate Director of Education – Evaluation and Scholarship. Since 2008, she has overseen educational projects throughout Western, Central, and Eastern Europe, curated two exhibitions of testimony, and taught a course at USC entitled Rebuilding Rwanda: Memory, Testimony, and Living Together after Genocide. Her current role as Associate Director of Education – Evaluation and Scholarship has her leading evaluation of all of the Institute’s programs. Prior to this, she completed her doctorate at UCLA in 2007 and subsequently worked at Human Rights Watch, where she managed the Los Angeles-based Student Task Force program, a youth leadership program for human rights activism (http://www.hrwstf.org). She also serves on the board of Friends of Tubeho (http://www.friendsoftubeho.org), a non-profit organization dedicated to granting access to education to Rwandan orphans. Amy originally hails from rural Wisconsin and is an avid cheese-consumer. She is married and has two young children. Her community interests include beautification and clean-up and responsible and respectful development.